Second Fridays Romsey is an independent network group aligned with the First Friday Network. Second Fridays has always been an independent networking group since its inception in 2004 but aligned with the First Friday Network, based in Chichester, since it was inspired by the original informal free networking concept, developed by Steve Wilson of Wilson Design Associates for First Friday. 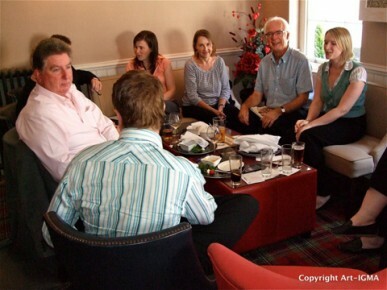 Over the years, this informal and free networking formula has proved to be extremely successful and the First Friday Network now consists of more than a dozen networking groups across East and West Sussex and is set to expand nationally. This expansion can only benefit Second Fridays and Second Fridays members, as our alignment with the First Friday Network gives us a much greater exposure to business entrepreneurs over a geographical area between Romsey and Lewes, and naturally any of the Second Fridays or First Friday Network Members are free to visit any of the other networking groups. Finally, Second Fridays members can register with the First Friday Network and make an entry in their excellent business directory, enabling members to have exposure across the whole First Friday Network and to receive copies of the First Friday Network eNewsletter.